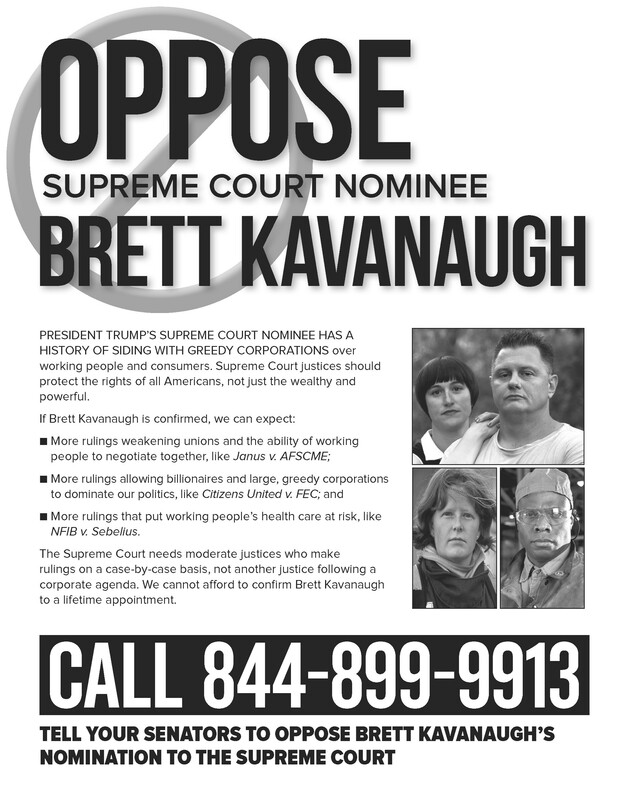 Call 844-899-9913 to Voice Your Opposition to Brett Kavanaugh for Supreme Court! Decisions by the Court, often by the narrowest of margins, have a dramatic impact on our lives as we recently saw in Janus v. AFSCME Council 31 and reinforce the importance of choosing who sits on the Court. 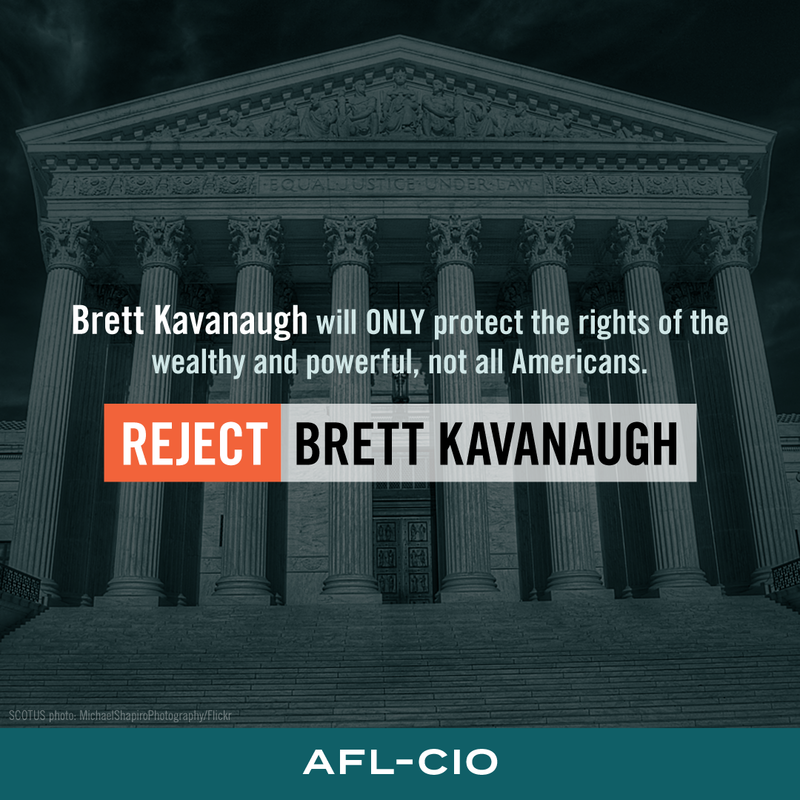 President Trump’s nominee to fill a second vacancy on the Supreme Court, Judge Brett Kavanaugh, has a dangerous track record of protecting the privileges of the wealthy and powerful at the expense of working people. Read more. Post this image on your Facebook and retweet this tweet to encourage your followers to voice their opposition to Judge Kavanaugh for Supreme Court! 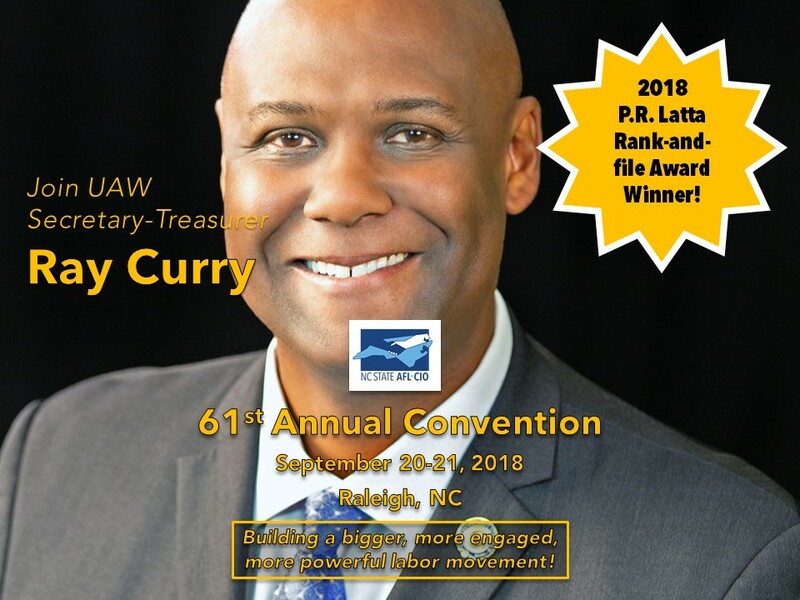 UAW Secretary-Treasurer Ray Curry will receive the 2018 P.R. Latta Rank-and-File Award for his lifetime of service building the power of North Carolina’s labor movement at our 61st Annual Convention banquet on Thursday, September 20th in Raleigh. Read more. On July 25th, AFGE members across the country are taking a stand against the union-busting, democracy-busting executive orders, and you can help! 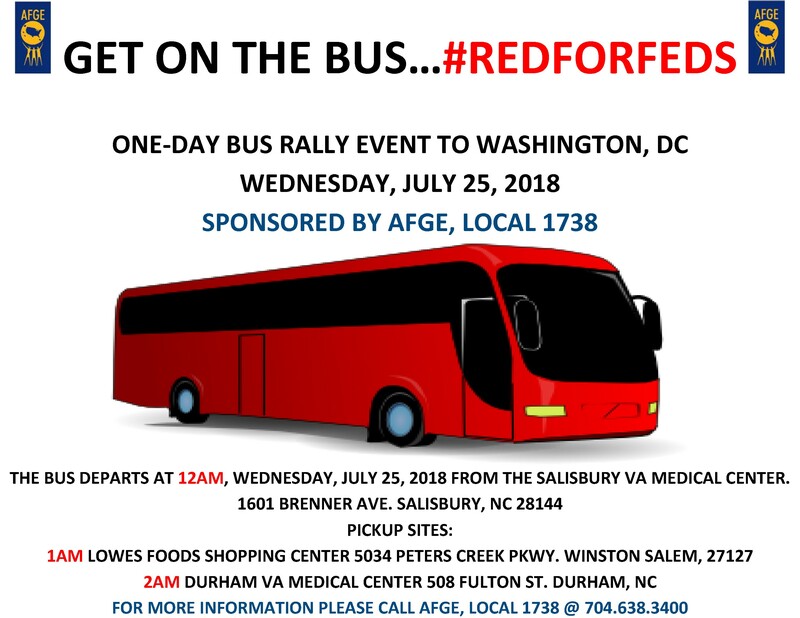 AFGE Local 1738 is sponsoring a bus to take members, their friends and families, and other community supporters to join the rally in DC. If you can we’re asking you to come to DC on the 25th to join us or host an event at home. Use the hashtag #RedForFeds when showing your support on social media! Read more. Share this post on Facebook and retweet this tweet. 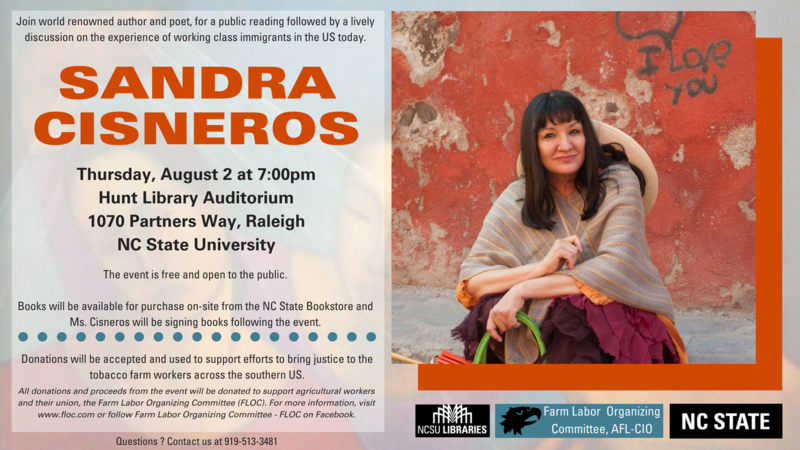 Join Sandra Cisneros, world renowned author and poet, for a public reading followed by a lively discussion on the experience of working class immigrants in the US today. This event is FREE and open to the public. Donations will be accepted to support farm workers and their union, FLOC. Read more. The Washington Post once described Kavanaugh as “nothing more than a partisan shock trooper in a black robe waging an ideological battle against government regulation.” It’s deeply troubling that the president thinks such a description is the best fit for the Supreme Court. Make the call TWICE to tell both Sen. Tillis and Sen. Burr you oppose Brett Cavanaugh’s nomination to the Supreme Court! USE this tool to quickly write Sen. Tillis and Sen. Burr to stop Brett Kavanaugh! What’s the matter with wages?